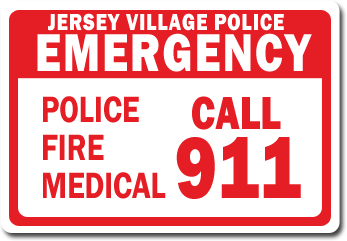 Welcome to the Jersey Village Police Department website. The City of Jersey Village with its strong economy base of area service businesses and superb quality of life ranks among the best that America has to offer. 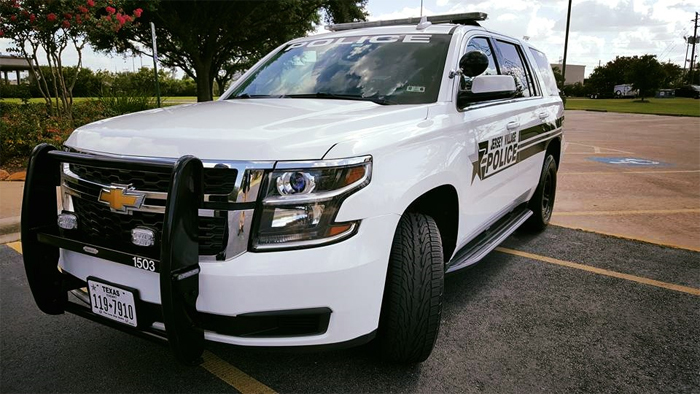 To this end, the Police Department believes one of its highest priorities is to do everything possible to maintain that quality of life while serving our customers in the most cost efficient manner. We, at the JVPD, recognize that in order to be successful we must engage the community in our efforts. We actively form partnerships with everyone who has an interest in making Jersey Village a great place to live and raise a family. We believe that working with all community stakeholders provides the formula for the success. Feel free to bring in your unused or expired medication on April 27th (Saturday) from 10am-2pm. The take back location will be in the front lobby of the Police Department. The Jersey Village Police Department needs your help identifying a suspect who robbed the O'Reilly's located at 7314 Senate on March 3, 2019. Suspect is a Hispanic Male, around 5'8" to 5'10", and was wearing a gray hoodie, black shorts, black socks, and black shoes. The suspect vehicle is possibly at 2007 to 2013 Blue Chevrolet Pickup. If you have any information, please contact Lt. Dooley at 713-466-2115. The Jersey Village Police Department needs your help identifying the suspect in the below photographs, who robbed the Subway on January 5, 2019. If you know who this person is, please contact Lt. R. Dooley at 713-466-2115. You may also leave an anonymous tip on our website! 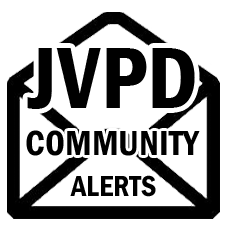 Register Your Residence or Business with the Jersey Village Police Department. Help solve crimes in our neighborhood by submitting anonymous tips. Also, see the status of your anonymous tips. Going on vacation? Register for our Vacation House Watch Program. Concerned about criminal or suspicious activity in your area? Register for website access to pay your alarm permit fee. If you prefer use regular (snail) mail - click here. We welcome your suggestions, comments and feedback.